On 11 July, the EHF contributed to a meeting on ”Countering extreme violence: Global context and Bangladeshi diaspora” organised by the European Bangladesh Forum in Brussels. Violations of the right to freedom of religion or belief and freedom of speech have dramatically increased over the past few years in Bangladesh. Several atheists and free-thinkers were brutally murdered by Islamist groups over the year of 2015 and many others either left in exile or stayed at the risk of their life. Last year, the Islamist violence broadened and targeted LGBTI activists. Two of them were assassinated in April 2016. These murders have followed a succession of governmental attacks and “blasphemy”-type prosecutions against those who identify as non-religious or humanist, or those who seek to criticize political Islam in Bangladesh. 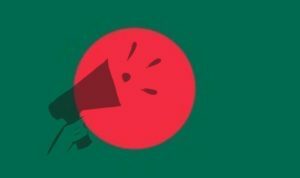 Though in theory a secular democracy protecting free speech and freedom of religion or belief, the ruling governments of Bangladesh have frequently given into pressure from Islamist parties and contributed to violating their people’s basic rights. In our contribution, we recalled the importance of secularism as one of the foundation of democracy and called Bangladeshi government to do more to protect human rights and its people. For those who do not know my organisation, I will start by saying a few words about it: the EHF is an Brussels-based federation that unites more than 60 humanist and secularist organisations across Europe. It promotes secularism and equal treatment of everyone regardless of religion or belief and also fights conservative religious lobbying at EU level and in Europe. Humanists are also organised at the international level through the International humanist and Ethical Union which does, among others, advocacy work at the UN level in favour of non-believers’ rights. My presentation will be about the importance of secularism for democracy, for Bangladesh and beyond. What we understand as secularism or a secular state is the separation of the state from the institutions of religion or belief – or at least the neutrality and impartiality of the state regarding religions and beliefs. Secularism should be distinguished from imposed irreligion, and from a ‘secular society’, that suggests a society with a high population of non-religious citizens, or in which the importance of religiosity is low. It should also be distinguished from a state that would be hostile to religious belief. These distinctions are important to make, especially in the case of Bangladesh where the discussion on secularism can easily lead to violence against non-believers, as we have sadly noticed. Underpinning secularism is the equality of all under the law and state, regardless of belief. Political secularism rest upon the principle human dignity too. Because it identifies individuals as equal citizens who have rights and not merely as members of a religious or non-religious group. Because it protects and guarantees equality and human dignity for all, effective political secularism is therefore needed to oppose discriminations and violence perpetrated in the name of religion or beliefs. Freedom of religion or belief requires equal and just treatment of all people irrespective of their beliefs. A secular state is the only system that can guarantee this. Only a set of laws and institutions that do not assume or impose any religion or belief on any individual citizen can treat people equally, being them believers or non-believers. Only a secular system can guarantee the right to practice by any individual or group of their religion or belief as long as it does not infringe upon the rights of others. Crucially, a secular state gives no privilege to any religion or belief. Any official preference for one religious or non-religious belief can be very harmful. First, because it inherently undermines the rights of minorities. Second because it prevents members even of the dominant religious group from seriously questioning, reforming, changing or dissenting from assumed beliefs. It discourages people from leaving the religion of their birth, because they will lose all the state privileges that come with belonging to that religion. When states start to define citizens not by their humanity but by their membership of a religious group, discrimination automatically follows. The protection of the right to freedom of thought, religion or belief involves manifestations of such beliefs through expression. This means that secularism, in line within international law, promotes a space for free speech, including criticism of ideas and religious beliefs. The ambiguous position of Bangladesh on these issues has greatly contributed to the dramatic violence against non-believers and religious minorities. As you know, in theory, Bangladesh is a secular nation but with a State religion. In theory, it protects free speech but also strengthened “anti-blasphemy” provisions (ICT Act and Section 295A of the Penal Code) under the pressure of Islamist parties; provisions that have led to many arrests and condemnations for those who “hurt religious feelings”. In theory, it protects freedom of religion or beliefs but has done nothing to protect free-thinkers, atheists and LGBTI activists who were threatened. The Bangladeshi Government must change its position, stop giving into pressure from Islamist parties and clearly stand for secularism and the protection of human rights. Our Federation as well as the International Humanist and Ethical Union have repeatedly called for these changes and have called the UN and Europe for help in this work. The EU in particular has been slow to put pressure on the Bangladesh government. For example, it was only in November 2015 that the European Parliament adopted a resolution condemning the horrific violence against secularist writers, publishers and bloggers. And in this late resolution, MEPs disappointingly kept silent on the very harsh national blasphemy-like legislations. As a political project committed to defend democracy and human rights, we would like to see the EU to stand for the rights of non-believers worldwide, as much as it stands for the protection of religious minorities. We would like it to remind Bangladesh and other countries that an effective secular political system is an essential backdrop for the prevention of human rights violations because it is a framework where people are seen as human rights agents and not defined primarily by their beliefs. That it is the only way to guarantee the full enjoyment of human rights, democracy and the rule of law.